Storthes Hall Park is a unique venue set in beautiful surroundings that can cater for any important event you may have coming up in your calendar. Also comprising of student accommodation, home to local football and other sporting clubs with many using Stafflex Arena, Storthes Hall now offers Apart-hotel accommodation from £25 per night. With a beautiful and roomy bridal suite available. From conferences to weddings or team building to summer activities, our facilities are versatile enough to fit the bill. Storthes Hall Park, only ten minutes from the centre of Huddersfield and easily accessible from the M62 and M1, is the perfect rural escape combined with on site accommodation. Set in 44 acres of beautiful Yorkshire countryside it is ideal for business or pleasure. and 11am – late during the weekends. We serve food from 12pm – 10pm every day. We have both walking and cycling trails on site in addition to the marvellous trails to be found within minutes of the estate. We can also arrange many other on site activities including orienteering, cycling, and football. We have a wealth of experience hosting successful events and we are dedicated to taking the hassle and worry out of your hands. Our high quality in-house catering and affordable accommodation offers a plethora of opportunities to make your event run smoothly. Gary Wood, from Trojan Karate, is a 7 Dan Karate instructor and has been training in martial arts and fitness for over 48 years. Earlier this year Gary Wood opened another location of Trojan Karate in Clayton West. 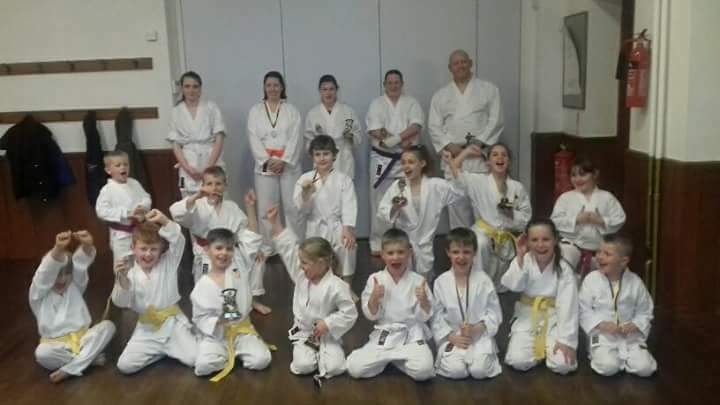 An Afterschool Karate Club in the Darby and Joan Club, starting at 3.45pm, for one hour on Wednesdays. This is a place that your 5-year olds and older can take their first lessons in Karate. The first session is free. So, you have nothing to lose trying it out. As well as Karate, Gary also teaches Judo, Boxercise and is a Personal Fitness Trainer. During his years of being in the sport he has met and trained with many of martial arts greats and have been all over the world sparring and teaching.